With an American passport and the right visas, travelers have all the tools they need to see the world. However, even in our modern society, there are certain countries where Americans are not just unwelcome—they are often barred from visiting entirely. Every year, the United States Department of State issues several travel warnings, ranging from awareness advisories to avoidance orders. While there are a number of nations that travelers should be aware of every year, these three countries have remained on the State Department's "Do Not Travel" list for years. Before making plans to visit these countries on pleasure or a "voluntourism" trip, travelers should think long and careful before securing their plans. The following are three countries Americans should not visit. In 2013, the Central African Republic begun a violent military coup which ultimately overthrew the government. Today, the land-locked nation continues to rebuild with peaceful elections and a transitional government intact. Despite the progress, the nation remains one of the most corrupt countries in the world, with violence between militant groups ready to break out at any moment. And the armed groups kidnap, injure and murder civilians. When conflict breaks out, borders and road closures can occur without notice. As of December 2018, the U.S. Department of State has the Central African Republic (CAR) on a Level 4 Advisory warning against travel due to "crime and civil unrest." The State Department advises that there are crimes being committed such as "armed robbery, aggravated battery, and homicide, is common." U.S. government employees are not authorized to travel outside the Embassy compound without special permission. As part of the advisory, anyone who travels to the Central African Republic is advised to: appoint a family member to serve as the point of contact with hostage-takers, to put together a "proof of life protocol," if you are taken hostage so you have code words that your family will understand if you have to give proof you are alive, and to leave a DNA sample with your health care provider. If this information doesn't dissuade you from traveling to the country, the Department of State advises that those considering a trip to this nation should reconsider their plans before departure. Though you may have never heard of this northeastern African nation, Eritrea is very well aware of their position in the world. In 2013, the local government issued restrictions on all foreign visitors inbound to the small country. Anyone who plans on visiting—diplomats included—must apply for a visa well ahead of their arrival. Each visa is accompanied by a travel permit, detailing where a traveler is allowed to go. Visitors are not allowed any diversion from their approved itinerary—even to visit religious sites near major cities. Those who travel outside of their approved permits are subject to a number of penalties, including arrest and denial of exit visas. In addition, laws are often enforced by armed “citizen militias.” Operating at night, militias often check visitors and citizens for documentation. If an individual cannot provide documentation on demand, they could face immediate arrest. Although the U.S. Embassy remains open, officials cannot guarantee they can provide assistance to travelers because embassy staff must get special permission to travel outside Asmara. 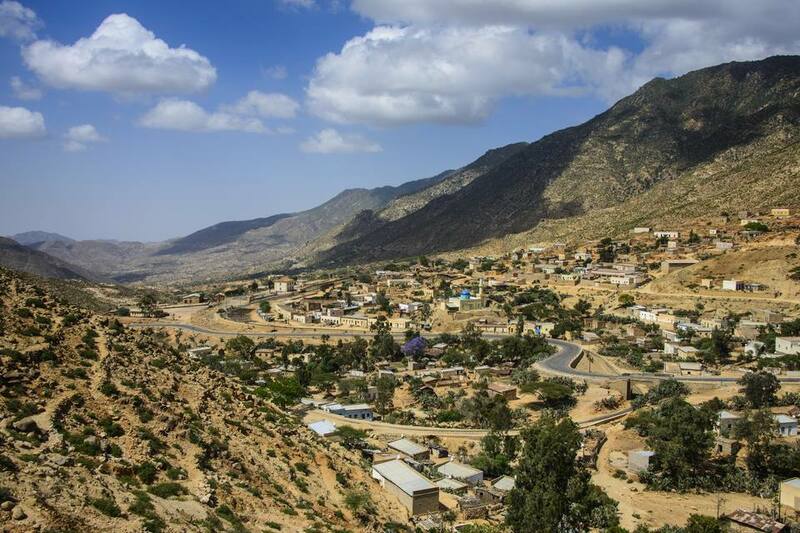 While the monasteries of Eritrea are a pilgrimage site for those of the Eastern Orthodox faith, those Americans who try to make the trip may not make it back. While the U.S. Department of State currently (December 2018) lists a Level 2 Travel Advisory for Eritrea, they add that certain areas are "do not travel." They advise you to reconsider travel to "The Eritrean-Ethiopian border due to potential armed conflict and to remote areas or off main roads due to minefields." The problems in Libya have been well documented over the last decade. From the 2011 civil war that disposed the dictatorship to the attacks on the U.S. Embassy, travelers to the north African nation have been often warned to stay away for their own safety. In 2014, the U.S. State Department suspended all embassy services in the war-torn country, citing continued political unrest throughout the nation. With high crime levels and a widely-held suspicion that all Americans are government spies, traveling to Libya should not be high on any American's list. The message from the State Department is clear: anyone coming from the west should avoid Libya at all costs. As of 2018, The U.S. State Department has listed a Level 4 Advisory for Libya with a "do not travel" warning. The department warns against travel "due to crime, terrorism, civil unrest, and armed conflict." Westerners and U.S. citizens run the risk of being kidnapped for ransom.